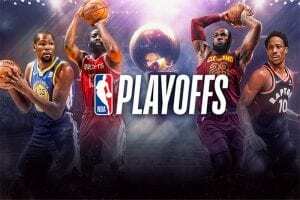 No team has ever come back from 3-1 down in the NBA Finals and, despite possessing one of the most talented players ever to step on the hardwood in Lebron James, it doesn’t look like that is about to change. The Warriors head home to Oracle with a huge head of steam after turning around a 30 point spanking in game three, taking the Cavs out by 11 points in game four, 108-97. It looks far too big of an ask for the wine and gold to keep the series alive in front of a hostile home crowd in Oakland. One man with plenty to play for is the back to back reigning NBA Most Valuable Player Stephen Curry. The sweet shooting superstar copped his fair share of criticism after a poor performance in game three. But, like all superstars tend to do, Chef Curry bounced back with a vengeance, splashing seven three pointers – more than Cleveland’s entire roster – on his way to 38 points, six assists and five boards. 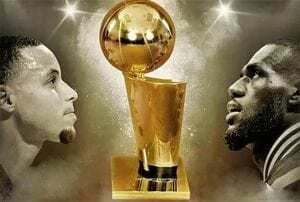 The Super Splash Brother was dropping them from every where and, with the Finals Most Valuable Player Award a wide open race, a big performance in the title clinching game might just tip him over the edge, despite a quieter start to the series. We feel like he has shaken off the cobwebs that plagued him earlier in the series, his shot is back and he will be dropping threes like they are layups once again in game five. 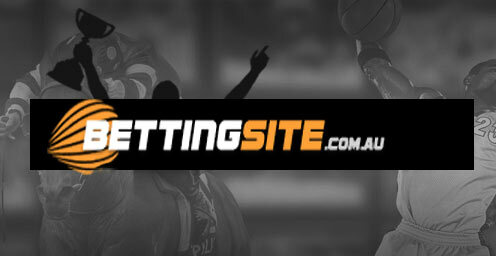 The over 29 points at $1.87 with sportsbet.com.au looks juicy. As far as the Cavs are concerned, it has been Kyrie and not Lebron leading the team in scoring. Irving has got his most of the series, but that has not translated to wins, so the Warriors won’t be overly concerned if he goes for plenty again in game five. Despite a stinker in game two, Irving has had 30 or better points plus assists in each of the other three games, including 34 and four and 30 and eight in his past two. We think he is value to do it again at $1.88 with CrownBet.com.au. Curry’s Splash Brother Klay Thompson caught fire in game four with 25 points and you’d have to think he will easily cover the 21.5 point line with crownbet.com.au at $1.88. While Curry and Thompson were the stars for the Warriors, they were not alone, with Harrison Barnes chiming in with 14 points and Andre Iguodala 10 points, seven assists and six rebounds off the bench. For the Cavs, James almost completed a triple double with 25 points to go 13 rebounds, nine assists, three blocks and two steals, but they are gaudy statistics that feel just a little bit empty when you look at how the game panned out. Irving had 24, but Kevin Love – returning from concussion he suffered in game two – had only 11 off the bench. Yes, the Cavs do have Lebron, but did you see him in game four? Passive, giving up the rock, letting Kyrie take over? Those aren’t the actions of a guy who wants to carry his team to a title. Golden State has been the best team in the NBA all season. They rarely ever lose at home and we can’t see the changing in this one. For all Cleveland’s effort, it will take something special to stop the chip landing in Oakland. The Warriors have far too many weapons to throw at them. The Cavs role players always perform better at home, but to do it on the road is another story. We think this one will be another blow out win to the Warriors and they will be celebrating on their home floor. The score has only eclipsed 206 points once in this series and we don’t think it is going to happen again. 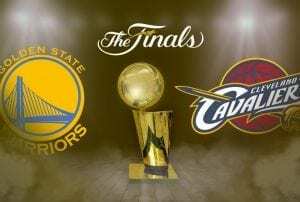 The Cavs will be well held and the Dubs will do just what they have to do to get the job done. The unders is the go, with the Warriors -7 and even 11 plus at $2.52 are worth looking at.